create leads and deals or save each conversation transcript in the external system such as CRM/HelpDesk. Please note that the integration script must be hosted on your own web server. WhatsHelp just notifies your script when particular event occurs. You can read a more detailed documentation at our Webhook reference. You may want to query your database based on your customer’s e-mail address, phone or messaging ID and display additional customer information to your agents. Every time a customer profile is viewed, your script will receive a webhook including all the customer information (user_profile_viewed event). You can then look up your own database and send additional information to WhatsHelp as a JSON request. As a result, your agents will see additional information during a chat. Let’s say you want to be notified on your internal company statusboard every time a new conversation is started. Every time a conversation is started, we will send a webhook including conversation details ( conversation_started event). Using Webhooks, you can receive a conversation transcript after each of your conversation. 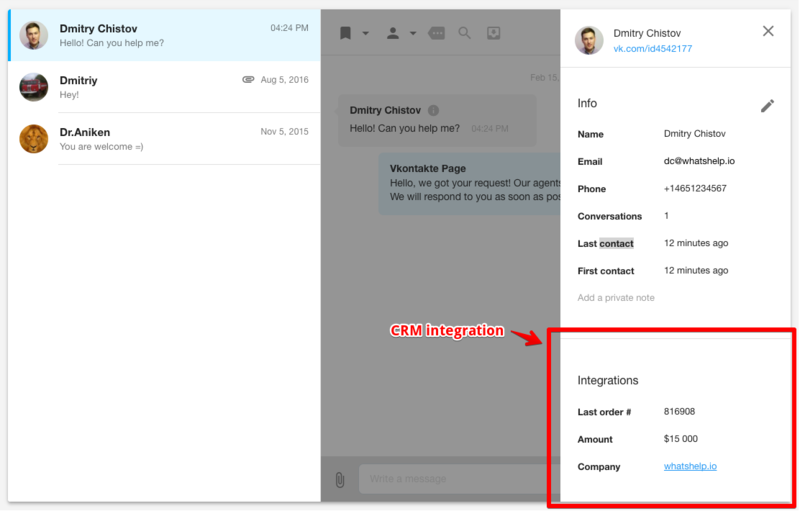 It may be also useful for creating new contacts and deals in CRM, or creating new tickets in your Help Desk system. 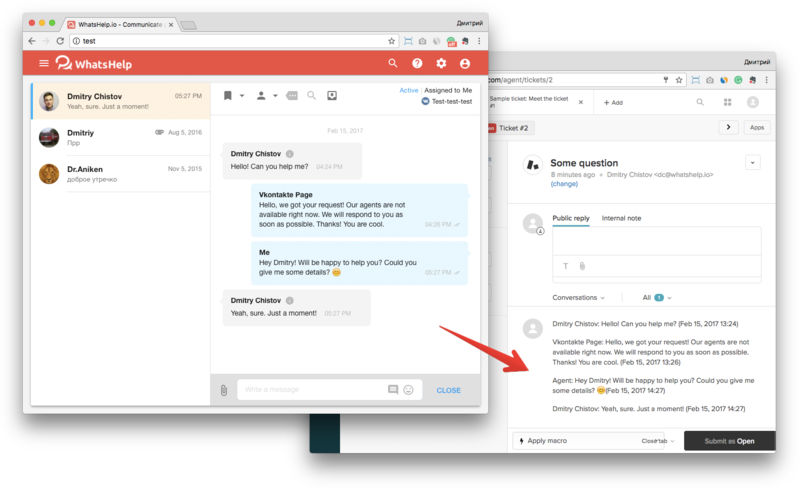 Every time a conversation is closed, your script will receive a webhook including all the conversation information including conversation transcript, customer information and agent details ( conversation_closed event). Please read more at Webhook reference.